Charlton Heston gives a solid performance as a Mexican detective. This casting is made into a joke in Tim Burton's Ed Wood film, but if you watch TOE you see Welles' getting work out of Heston that makes you wish Orson had helmed a few of those gigantic Heston epics of the 1960s. The Agony and the Ecstasy comes to mind, a film about a freelance artist - Michelangelo - trying desperately toget paid - something Orson Welles knew plenty about. 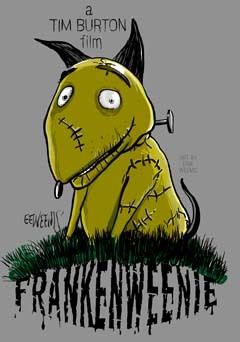 If you're a fan of this film, then you probably know there have been a number of different permutations of the film's content (at least three! The description at Wikipedia claims four), with the twice-edited original theatrical version (you know you've seen this one if you remember that bracing Henry Mancini's score that blasts away right from the beginning) and then there's the 1998 "Orson Welles' edit" which was pieced together by Walter Murch, guided by a 58-page memo Welles' wrote to Universal before the film's original release in 1958. There is also a 108 minute version that Universal discovered in their vaults in 1976 and made available with the dubious claim of being Welles' original cut (it wasn't - it was padded with scenes made by director Harry Keller). Charlton Heston writes in his autobiography that he directed a few scenes because no one else was available. In fact it was on Heston's insistence that Welles even got the directorship, and both Heston and Welles' talked about other projects they might do together: nothing came of it, which is too bad, as Welles' used Heston to a much better advantage than is in many of the actor's other films. 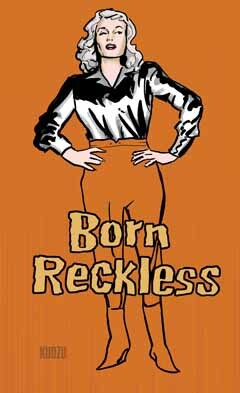 Janet Leigh's agent originally refused the request for her to be in the film, citing the low salary offered. It was only after Welles' had contacted Leigh personally that she even knew about the offer, and joined the cast for a chance to work with Welles and Heston. Onscreen is Zsa Zsa Gabor (briefly), Leigh and Marlene Dietrich. Leigh's character is tough and seems angry throughout much of the film: I think many other actresses would have simply played the character as scared, because the character seems to be in constant danger. Dietrich is a somewhat disembodied Greek chorus that provides an overview during her few moments of film-time. 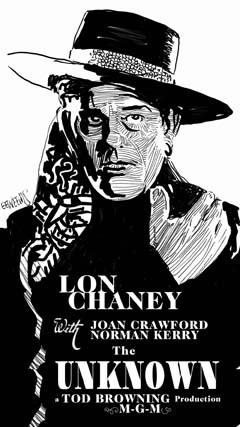 Her character shouldn't know as much as she does, but because she knows the main character (Welles' as the grotesque corrupted police captain Hank Quinlan) she knows the whole story anyway. Dietrich apparently joined the cast at union wage minimum and without Universal execs even knowing about it until they saw Welles' rushes. 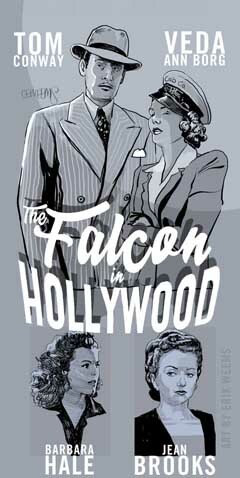 It is an unusual film, and though touted as the best B-movie noir ever made, it doesn't perfectly fit in any of those categories. 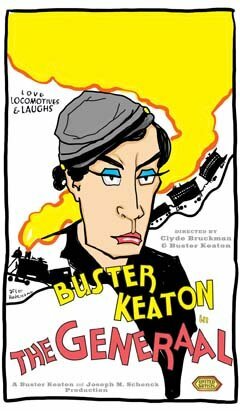 With Heston, Leigh and Dietrich onboard, it's hardly a B-Movie; and it's original budget wasn't B-movie grade either. But because Universal had the idea to cut the film up and release it on a double-bill with the Hedy Lamar film "The Female Animal" it was certainly packaged as a B-Movie. The DVD package Universal has released apparently had to run a gauntlet of legal objections put forth by Beatrice Welles, Orson's daughter. 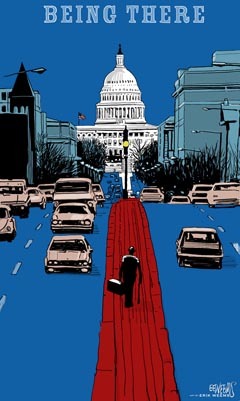 Originally meant to include a documentary and commentary, the DVD is shorn of both. But there are quite a few other features on the disks which make it the best, and most informative DVD release of the film yet. Incidentally, the 1998 version of the film is shown widescreen: Welles' apparently wanted to go widescreen during the original filming, but instead was required by Universal to shoot the film for a full-screen dimension release. Releasing the 1998 re-cut as a widescreen seems odd, since Welles didn't intentionally shoot the film with it in mind. 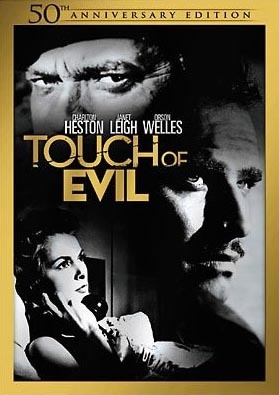 Experience director Orson Welles’ masterpiece Touch of Evil like never before in an all-new 50th Anniversary Edition DVD! 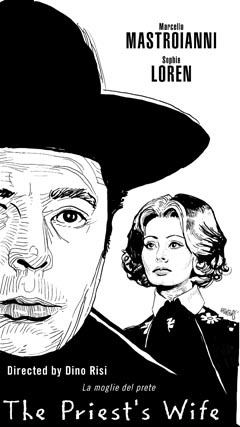 Starring Charlton Heston, Janet Leigh and Orson Welles himself, this exceptional film noir portrait of corruption and morally compromised obsessions tells the story of a crooked police chief who frames a Mexican youth as part of an intricate criminal plot. Now for the first time ever, see all three versions of the film – the preview version, the theatrical version and the restored version based on Orson Welles’ vision. 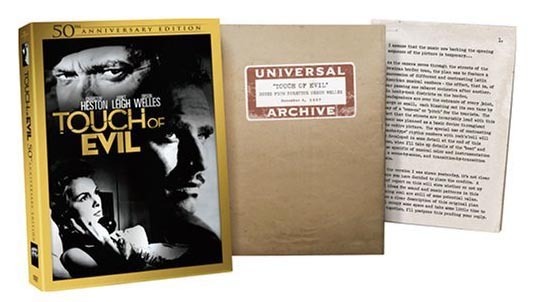 The Touch of Evil 50th Anniversary Edition commemorates a true cinematic achievement and is an essential addition to the very movie lover’s library! 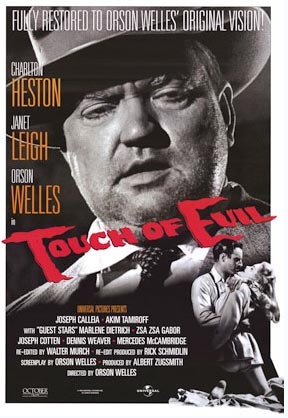 Considered by many to be the greatest B movie ever made, the original-release version of Orson Welles's film noir masterpiece Touch of Evil was, ironically, never intended as a B movie at all--it merely suffered that fate after it was taken away from writer-director Welles, then reedited and released in 1958 as the second half of a double feature.